A half of the Biggest Painting in the World 2020 for Nagoya city has been accomplished. 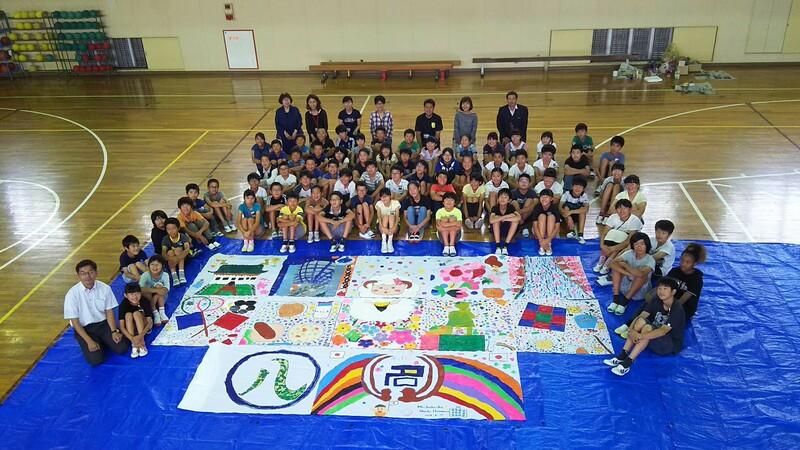 All the 6th year students in Nagoya Meihoku elementary school have painted the half of the Biggest Painting in the World 2020 Nagoya city. Another half will be painted by students from Nagoya city Tsuji elementary school.